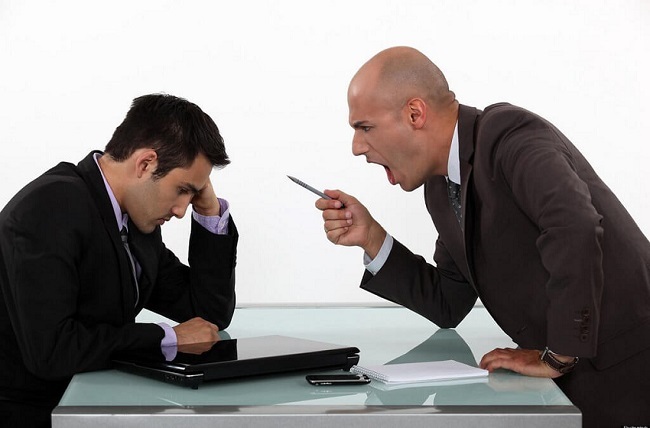 According to a recent study, abuse and mistreatment by those at the top of an organisation do not necessarily lead to abusive behavior by lower-level leaders. Sometimes, bad bosses could turn you into a great boss. Washington DC: According to a recent study, abuse and mistreatment by those at the top of an organisation do not necessarily lead to abusive behavior by lower-level leaders. Sometimes, bad bosses could turn you into a great boss. "Some employees who are abused by their bosses resolve not to repeat that pattern with their own subordinates and become exceptional leaders of their teams," said Taylor, lead researcher of the study. Explaining the finding of the research further Taylor said, "Our study sheds light on a silver lining of sorts for people who are subjected to abuse at work. Some managers who experience this abuse can reframe their experience so it doesn't reflect their behaviour and actually makes them better leaders." The study found those who relied on their morals and integrity to defy their manager's abusive approach felt encouraged to prevent it from moving beyond their bosses. Through multiple experiments over several years, the researchers examined the differences in attitude and behaviour of supervisors who had been abused by superiors and those who had not and, in turn, how each group treated their employees. They found that abused supervisors who purposefully distanced themselves from their manager expressed respect and kindness toward their own employees, despite the poor treatment they received from their own boss.